This is a guest post by Hannah Cross that originally appeared on Renee DeGroot’s blog Culinary Reformation. Don’t Buy That! …here are ten things, normally purchased, that you can make at home instead! As food prices continue to rise, many families are looking for practical ways to cut their grocery budget and save money. Making certain foods homemade may sound like a lot of work; but often, it’s just a matter of planning ahead a little. It may take a bit of extra time; but not only are you saving money, you’re also better able to control exactly what ingredients go into your food. You might even find you enjoy preparing certain food items yourself and they taste better than the store-bought variety! Obviously, you can learn to make many more complicated foods as you get more experienced and adventurous. This list of twelve contains some of the simplest DIY foods to get you started. Buying your refried beans in cans at the store? You’re probably spending at least a dollar on a little can. Try making your own in the crockpot for pennies. Cover pinto beans in crockpot with plenty of water and cook until tender. (at least six hours) Drain excess liquid, but leave some with the beans depending on how runny you like them. Mash with potato masher and add salt, pepper, garlic, onion, whatever you like! Organic or all-natural granola bars can run up to $2-3 apiece and can contain GMOs, excess sugar, and preservatives. When you make your own, you tailor them to fit your diet; whether it’s making them grain-free with just nuts and dried fruit, gluten-free, or sugarless. There are plenty of various recipes on the internet and you can even try making up your own style of granola bar. Creative possibilities are endless! People are becoming more aware of BPAs that lurk in the linings of store-bought cans, including in traditional canned tomato and pasta sauces. Additionally, sugar or preservatives are often added to the sauce. Making your own is simple and can be done with various methods. If you have preserved your own tomatoes or have bought canned tomatoes, simply blend them in a food processor or blender with salt, pepper, garlic, or any seasonings you like. Otherwise, you can cook down fresh tomatoes and then do the same. Have you ever read the back of a traditional bottle of salad dressing? You will find many ingredients, usually including preservatives and sugar. When you make your own, you can use only two or three pure ingredients. A simple oil and vinegar dressing or sour cream with seasonings to make a ranch style dressing are easy options. There are plenty more elaborate options for special occasions or to add variety; google-ing will produce many results. This is an article originally posted on Culinary Reformation by Hannah Cross. The biggest objection I hear to eating naturally is that it’s too expensive. Yes, it can be expensive, but so can eating junk food. The other day I went to the local grocery store to buy a few items for a birthday party where junk food was the treat. These items included ice cream, candy, soda, and chips. I spent more money on junk food for a birthday party than I spend on food for myself for an entire two weeks. There are plenty of ways to be frugal about organic food, and it can wind up being even cheaper than conventional eating. One of the biggest ways to save money on nourishing, healthy food is to buy in bulk, especially if you have a large family to feed. 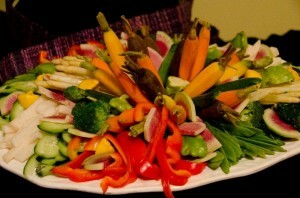 Ordering from www.azurestandard.com is a great resource for organic and natural foods at highly discounted prices. Even if you don’t have use for a 50-pound bag of oats, split it with a friend (or six) or join a local food-sharing co-op who order together and then split the food. Even stores like Costco can have deals on whole foods. Costco carries an extensive stock of organic products, such as frozen organic vegetables, fresh organic produce, organic butter, and more. The most effective way to save money on food is not to spend money on food. As obvious as this may sound, the principle of cooking with food you already have is a smart one. For example, instead of finding a recipe that looks yummy and then going to buy the ingredients needed for it, survey the contents of your pantry and refrigerator and figure out what recipes or meals your could make with the food you already have. This can be fun! As the old saying goes, “necessity is the mother of invention”, so you might discover a really tasty dish you made up from the ingredients you had available. Grass-fed, organic, quality meat can be expensive. And while it is significantly nutritionally superior to supermarket meat, it does usually cost significantly more money. Ways to “stretch your meat further” include substituting beans or lentils for half of the meat called for, incorporating a “meatless meal” day or two per week, and adding extra vegetables or grains into recipes to increase quantity. Buying cheaper cuts of meat is frugal as well. For example, buy a whole chicken rather than just chicken breasts. Then, you can serve the chicken meat on vegetables or rice for one meal, use the leftover meat from the bird to make a casserole or pot pie for the next meal, and make stock with the carcass to make a pot of soup (or two) for another meal. Another way to save money on healthy food, particularly produce and animal products, is to buy directly from the farmer. By skipping the middle man, the distributor’s costs of transportation, packing, staff/labor, etc. don’t fall onto your shoulders. Ask around in your community about local farmers and search websites like http://www.localharvest.org/ . Boxes and packaging cost companies money, which in turn costs YOU money. Buying food without packages is generally healthier, and it also saves money. From buying almonds or dried fruit from the “bulk section” of the grocery store to nixing packaged snacks such as chips and crackers (even organic ones) for whole snacks like fresh produce or cheese, keeping packaged foods out of your grocery bag will save you lots of money in turn. You might be missing those packaged crackers, granola bars, or cookies. In most cases, many packaged food items can be made in your own kitchen. This not only gives you control over what ingredients are put in and gives you the flexibility to tailor recipes to your family’s liking, but can be a huge way to save money. 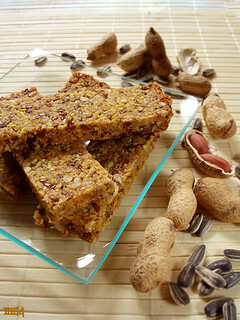 An all-natural packaged granola bar can cost $1 per bar, but a similar tasting homemade bar can be pennies. Experiment with making your own salad dressings, condiments, snacks, desserts, bread, tortillas, and more. Planning the meals you will make for each day of that week, two weeks, or month will not only save you money, but also lots of time. It can save you trips to the store and last minute convenience foods and eliminate the 5:30pm panic of “what is for dinner?!”. Also, cooking a double portion and freezing it can be super convenient if you know you’re not going to be able to cook that night. Part of meal planning in advance includes compiling a shopping list of items you will need. Shop once a week, once a month, whatever works for you. By shopping less often, you’ll spend less money. With a list in hand, you are more likely to stick to it and avoid impulse purchases. My family buys food from at least four different people/stores. If we were to buy all of our food from just one distributor, it would be far less cost efficient. By shopping around for prices and avoiding the “one-stop shop” mentality, you can both save money AND support your local economy. Last summer my Mom gardened and it brought forth so much bountiful produce. This was such a blessing for our family, and saved us so much money. Even if you just start small, like with an herb garden, you can save in little ways and eventually expand. Raising chickens is becoming more popular and simple, and not having to buy eggs each month can be just a small piece of frugality for natural living. Raw foods are usually very healthy. Numerous diets center on a large portion of, or 100%, raw foods. I believe raw foods are an excellent part of a balanced diet, but there’s a number of things that aren’t ideal about relying heavily on raw foods. Probably few of my readers are inclined to a completely-raw fruit and vegetable diet, but since it seems to be the prevalent opinion that “raw = best”, there are a few things I wanted to note, as follows: 1. Raw foods are very rich in enzymes, which help to digest food and are vital to many metabolic functions in the body. Our body both makes its own enzymes and gets enzymes directly from food. The more enzymes that are in the food that we eat, the less the body has to work at making enzymes. There are enzymes in all raw foods, including raw milk and raw meat, though this discussion is primarily about raw produce. Tropical fruits are especially high in digestive enzymes, and as such are especially conducive to being eaten raw. Raw foods are alive, life-giving foods! (Interestingly, grains are the one food that can’t be eaten raw unless sprouted. Vegetables and animal foods can be eaten raw if they come from clean sources. Vegetables and meat comprise one of the best, well-balanced diets–and no, I don’t eat hardly any animal products raw, just like I don’t eat all my vegetables raw.) 2. Raw foods are excellent sources of water-soluble vitamins B & C. These vitamins are easily lost in cooking, and are lost even in leaving produce peeled or cut for several hours. Some fruits, such as berries and citrus, are often eaten raw, which helps us to get appropriate intake of vitamin C, particularly. It has been observed, however, that non-organic produce often has much lower levels of vitamin C than organic produce does. If you are eating raw produce for its water-soluble vitamin content, it’s best to buy it organic. 3. Raw produce contains high amounts of indigestible fiber. 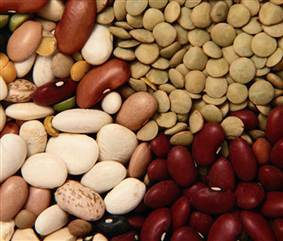 While we need fiber in our diets for balancing metabolism, aiding digestion, and feeding good gut flora, too much fiber can be irritating to a leaky gut or compromised intestinal system. It’s hard to “digest” or pass through since it’s actually indigestible. Eating a lot of raw leafy salads can provide a lot of enzymes for a healthy body, but cooked/low-fiber foods are much easier on intestines trying to heal. Raw milk, fresh vegetable juices, or blended smoothies/shakes are prime ways to get enzymes and nutrients into the digestive system and bloodstream without the obstruction of so much fiber. 4. Raw foods aren’t the only foods that contain nutrients, by far. Cooked foods still contain all the macronutrients (protein, carbohydrates, fat) and many micronutrients (minerals and vitamins). Minerals and fat-soluble vitamins (A, D, E & K) are barely harmed by heat. Plant foods contain an array of other phytonutrients that remain in foods whether eaten raw or cooked. Proper cooking, not overcooking, is important to maintain the integrity of the macronutrients. Roasting or steaming are good ways to preserve as many nutrients as possible without losing nutrients into boiling water. There are a few advantages to eating cooked vegetables for at least part of your vegetable intake. Cooking reduces some of the antinutrients, or digestive inhibitors, found in some cruciferous vegetables and dark leafy greens. Cooking imparts heat to, and reduces the water content and cooling nature of raw foods. This increases the sugar content of the foods, helps to balance your metabolism, and warms your body temperature when the weather is cold. Cooking breaks down some of the fiber in raw produce, which can be easier on digestion. And lastly, cooking simply helps many vegetables to taste better (likely because they are warmer and sweeter). 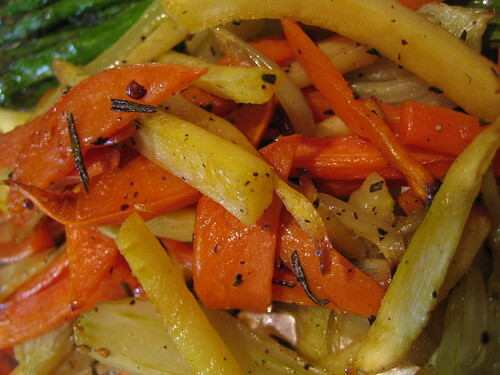 Of course, some vegetables taste better raw and are typically eaten that way; and the same with cooked vegetables. 5. Raw foods have a lot of nutrients, but culturing/lacto-fermenting vegetables actually increases the enzyme and vitamin content exponentially. Plus, fermentation partially “digests” the food, eliminating the issue of too much fiber and roughage. Some recommendations say to eat raw produce at every meal (not a bad thing), but traditional wisdom says to eat a cultured food as a a condiment at every meal. Cultured foods enhance the taste of other foods, whereas raw foods often benefit from added seasoning or dressing to make them more palatable. 6. Raw foods, especially produce, are generally understood to be the most health-promoting–but this is a situation where more isn’t necessarily better. We desperately need animal protein and animal fats in our diets to provide the full spectrum of nourishment. Animal foods provide essential amino acids, minerals, B vitamins, and healthy saturated fats in a quantity and manner that is most needed and most easily assimilated by our bodies. So, make raw vegetables a good portion of your diet, but don’t make them 100%. (That could never be done in Montana; we would freeze in the winter!) Vegetables and meat together, however, could alone comprise a balanced diet. 7. Raw foods are very helpful for cleansing the body for a period of time and giving it a break from denser, richer foods (or processed foods, if those are still in your diet). Or, even eating all vegetables (raw or cooked) for a several weeks, is a great way to avail of the high nutrients in vegetables, and let them cleanse and heal your body. Vegetables don’t contain enough nutrients for supporting your long-term performance, but they are a necessary inclusion (or large portion) of any diet, and a helpful method of short-term detoxification. People following intense, short-term vegetable diets often report excellent results such as weight loss, better digestions, and clearer skin. However, one only has to Google vegans who have switched back to meat-eating, to realize the detriments of eating only vegetables for years on end. 8. Raw foods taste best in season, and our bodies are most prepared–in their natural rhythm that follows the seasons–to savor them at those times. Spring greens to cleanse from winter; berries and tomatoes to sweetly refresh in summer’s heat; apples and pears to give crispness and accompany fall’s root vegetables. Fruits and vegetables have the most nutrition and flavor in season. Buying them locally or regionally ensures the highest nutrient content (not lost in travel time or being picked when unripe) and best economical value (no transportation cost; supporting your neighbor farmers). Many people say and believe that raw foods are meant to be eaten in season, and when they’re not in season, it’s better to eat them canned or frozen–since they were canned or frozen at the peak of nutrition. Food frozen at its peak likely rivals or exceeds the nutrients of raw veggies from another continent, and veggies kept in a storehouse through the remaining three seasons. And as we discussed, raw produce isn’t the only carrier of nutrients. Canned and frozen foods retain many, many nutrients. Usually frozen is best, but in the case of tomatoes, canning increases the levels of one of the best phytonutrients, lycopene. 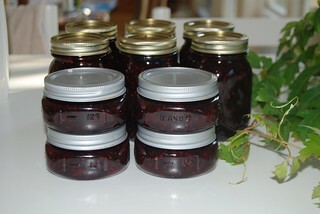 Better canned than fresh tomatoes in the middle of winter! 9. Raw foods are not the only thing mentioned in the Bible, so that’s the best historical and theological indicator that we need more than fresh raw veggies in our diet. Following the foods that the Bible mentions–and trying to acquire foods in whole forms like they would have had millenia ago–is the best path toward the healthiest diet. 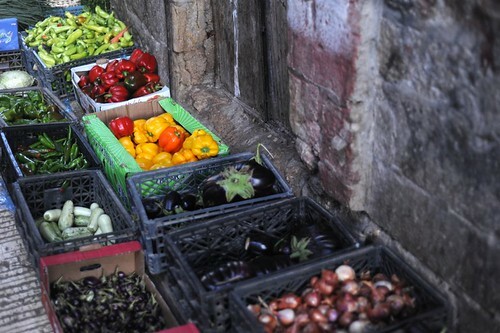 We live in different regions from the Middle East, so it is wise to focus on eating foods and produce that are fresh, seasonal, and native to our own areas. 10. Links to a few of my other articles that also weigh in on the subject of raw foods can be found in the full article on Culinary Reformation. Caribbean flavors and simple ingredients made a quick, hearty meal. Black beans, rice, onions, coconut, lime, coriander, etc. Add what else you like, too! An original salad recipe that I came up with after tasting something similar at a whole-food potluck recently. With healthy beets, carrots, allspice, and more, you can’t go wrong! 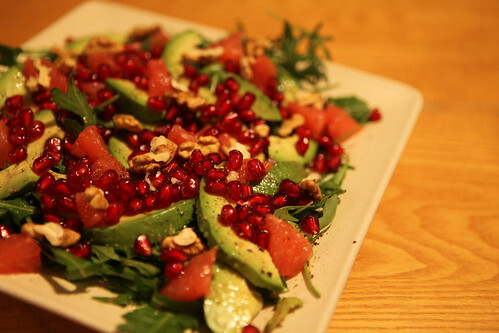 Make a super-food addition to your dinner tonight! Adrenal fatigue is a much-underestimated but exceedingly common health problem today. The adrenal glands work hard to manage stress and keep everything else functioning well in the body. However, when they bear the burden of constant battle to manage constant stress, they can become very weak and depleted themselves, and eventually cannot keep up, leaving us feeling sleepy, fatigued, and overwhelmed. Stimulating the adrenals improperly—trying to prop them up with poor sleeping schedule, caffeine, and medications—only adds to the problem in the long term. A new edition of Born-Again Dirt, with an added foreword by Joel Salatin, is now available! Newly revised, with editing changes and some bonus material, I am hoping the Lord will use the changes we have made to help encourage more born-again farmers. I want to thank Mr. Salatin, for his generosity in providing a foreword for this new edition. He is a very busy fellow (speaking 100 days of the year! ), but was kind enough to read Born-Again Dirt and take the time to contribute some of his unique, meaningful, and humerous thoughts. I also want to thank Mr. Jack and Marilou Dody for volunteering their skills in editing, and for all their encouragement. And many, many thanks go to my typesetter/book guy, Kyle Shepherd! He did a great job putting the first edition together at such quick notice, and has been very patient with me as we worked for a year on getting this new edition out. You can purchase the new edition here, or use the buttons on the sidebar. Also, there is now a follow button down in the bottom right-hand side of the screen if you would like to be notified whenever I post a new article (since my posting tends to be erratic). Soy is a controversial food! I think there are two main things to know about it, then we’ll discuss some others. First of all, soybeans are a whole food that no one should be “afraid” of–similar to the case with meat, or wheat, or eggs, or milk. Second of all, like the other foods mentioned, most of the time soy is highly, highly processed and its elements are isolated. Our bodies need their sleep. If yours isn’t getting it, here are some ways to encourage peaceful, solid sleep through the night. Comment and share what other therapies work for you, too. Read the rest here (click on the title! )…..